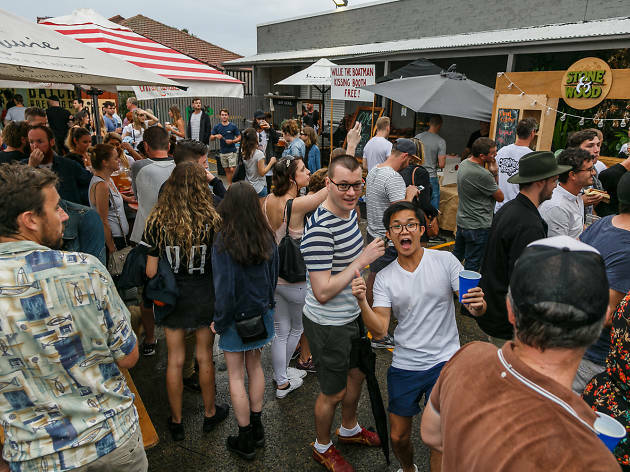 [Sponsored] Public House Petersham car park will once again be transformed into your one-stop-count-down-spot on January 27. From midday PHP will be broadcasting the nation's favourite music democracy, triple j's hottest 100, so you can countdown your most loved tunes of 2017 and see where your votes placed. Will Gang of Youths take out the top gong or will Kendrick come through? The Great Australian Beer Spectacular (or GABS) will be on site showcasing the hottest 100 craft beers of 2017, with beers available from right across the country. Local breweries Young Henrys, Batch, Stockade, Willie the Boatman and Stone and Wood will also be on hand cracking tins (starting at just $5) will also be on hand cracking tins (starting at just $5). The PHP's head chef Martin Cerny (the mastermind behind the pub's own foodie festival PigFest) will be doing a lamb on the spit, with all the trimmings. Veggos and vegans will be in for a treat too, with specially designed options. 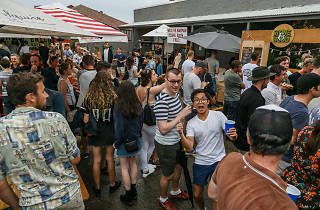 You can also round out the weekend by heading in on Sunday to hear the songs that just missed the cut off as the PHP broadcasts triple j's hottest 200.